The 103-year-old Cuban-American artist Carmen Herrera and the esteemed UK practitioner Anish Kapoor have revealed their wondrous, cobalt blue creations for an exhibition and sale of works in aid of the charity, Cure Parkinson’s Trust (CPT). Eighty-two artists were invited to create a unique work using a bespoke Perspex box measuring 20cm3 for the second edition of Cure3 which also includes 11 pieces this year by architects including John Pawson. “The cube can be used in any way the artist chooses; as frame, support or to contain,” a project statement says. The cubed creations will be on view at Bonhams, London, from 26 to 28 October (and are also available to purchase on cure3.co.uk from 8am on 26 October). The impressive charity initiative, which is devised by the curatorial collective Artwise, will help fund research into slowing, stopping or reversing Parkinson’s, a degenerative condition. "Herrera was moved to create her first ever sculptural work for charitable donation with Blue Angle (£25,000). 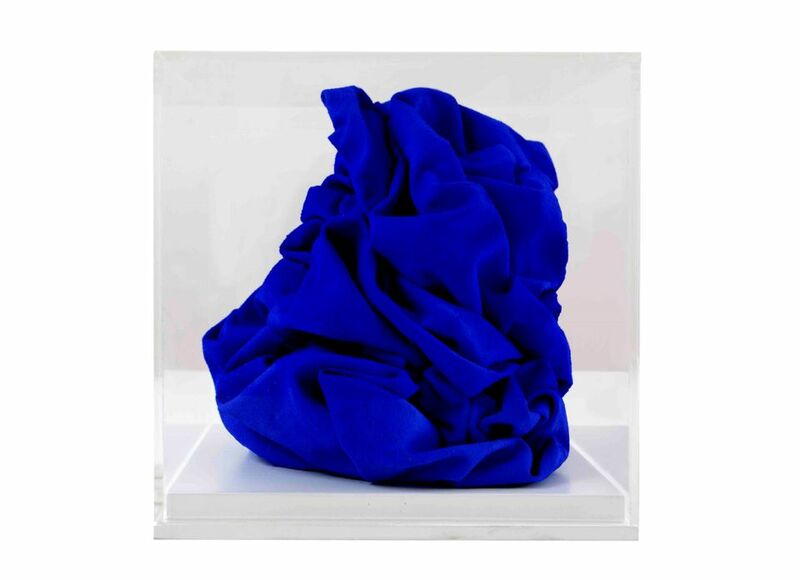 Blue3 for Cure3 (£80,000) is a gorgeous and instantly recognisable work by Sir Anish Kapoor, a sumptuous, rare domestic scale work by one of the most celebrated sculptors of his generation," a project statement says.